Night Beats bring southern psychedelic rock and guitar fuzz to D.C.
West coast psychedelia group Night Beats treated a D.C. crowd to experimental rock Wednesday night. Photo used under the Creative Commons License. Snarling fuzzy solos and reverb-drenched bass blasted through vintage guitar amps Wednesday at Comet Ping Pong, as Night Beats took crowds into the musical world of Texas psychedelia. The band, whose lineup consists of lead guitarist Lee Blackwell, drummer James Traeger and bassist Tarek Wegner, performed in front of a small audience at the dual pizza-place and concert venue, rapidly and energetically progressing from one song to the next without pause. On a small stage tucked away in the back of the bar, Blackwell played “Puppet On A String” off of Night Beats’ self-titled album. Approaching a solo near the middle of the song, Blackwell stomped on his guitar pedal and engaged his vintage fuzz face, taking the audience a musical step into the past. Meanwhile, Traegar and Wegner supported Blackwell with forceful drumming and heavy bass as four audience members danced in front of the stage, waving their arms in the air under dim hanging lights. The audience exploded when the group played “Shadow of the Night,” a track from their debut EP “H-Bomb.” Blackwell’s agile guitar playing and reverb and vocals drove the song forward, while Traegar and Wegner backed him up with intense, booming bass and drum lines. 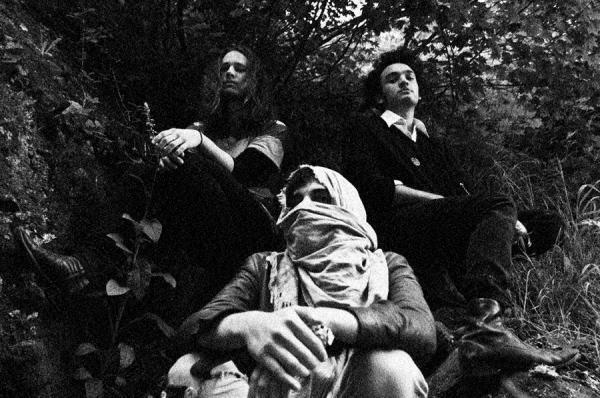 Night Beats recently released their album “Sonic Bloom” early October through The Reverberation Appreciation Society, a record label started by music festival organization Austin Psych Fest. Blackwell told The Hatchet that the album signaled the group’s evolving musical sound and embracement of experimentalism. This December, Night Beats will embark on a tour of South Africa, a concert series sparked by a spontaneous comment from an audience-member. Night Beats will play in Johannesburg on December 13 followed by Cape Town on December 14.